Bob Champion is a former English jump jockey who had a fine carer that saw much success. He has since remained a cult figure and regularly appears on TV. 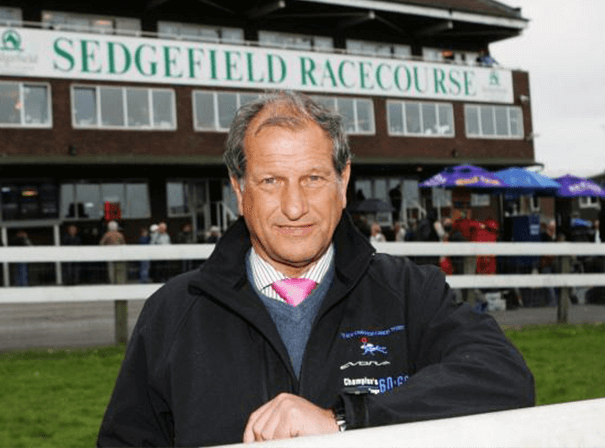 He is a horse racing aficionado who delivers great after dinner speeches and can talk at length about the sport on TV, radio or in person at a range of public or corporate engagements. Bob’s most famous accomplishment was wining the 1981 Grand National on Aldaniti. This triumph made it onto the silver screen in the form of the film Champions, which starred John Hurt, and was based on a book Bob write with a friend about his time in the sport. During his career, Bob had to fight off testicular cancer but still managed to succeed and as such earned him the BBC Sports Personality of the Year Team Award as well as being chosen as one of the 100 Greatest Sporting Moments by Channel 4 viewers in 2002. he also won a number of other great races, including the Hennessy Cognac Gold Cup and the Whitbread Trial Chase. For these achievements he was appointed the Member of the Order of the British Empire in the 1982 Queen’s Birthday Honours. and went on to set up the Bob Champion Cancer Trust. With this trust he has raised millions of pounds for cancer research. Bob has also been on This Is Your Life in 1981 and in 2011 received the Helen Rollason award as part of the 2011 BBC Sports Personality of the Year competition.